A 22 year old female patient came with a chief complaint of forwardly placed upper teeth.She was diagnossed with Class-I malocclusion and was adviced Orthodontic treatment followed by Orthognathic procedure. A 3 year old female patient came with a Chief complaint of nasal regurgitation on fluid intake and had speech difficulties. She was diagnosed with having a complete unilateral cleft palate. 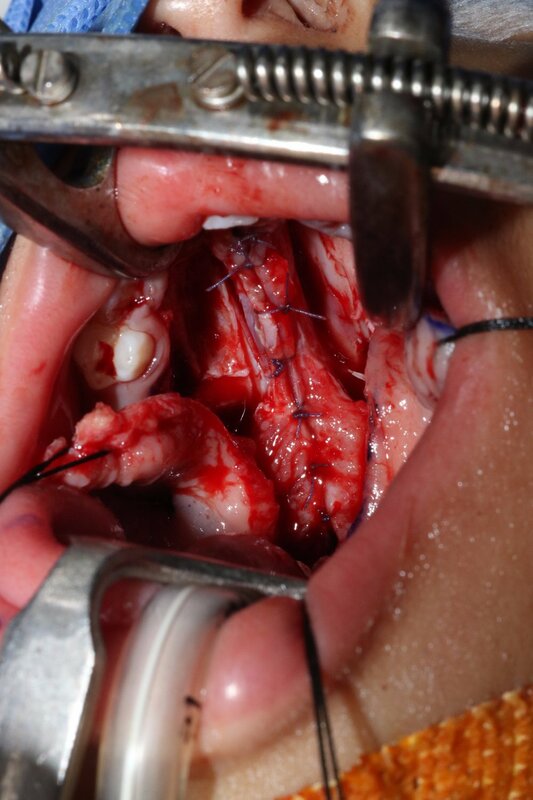 She was taken up for surgery and the cleft was closed using Bardach's technique for cleft palate closure.